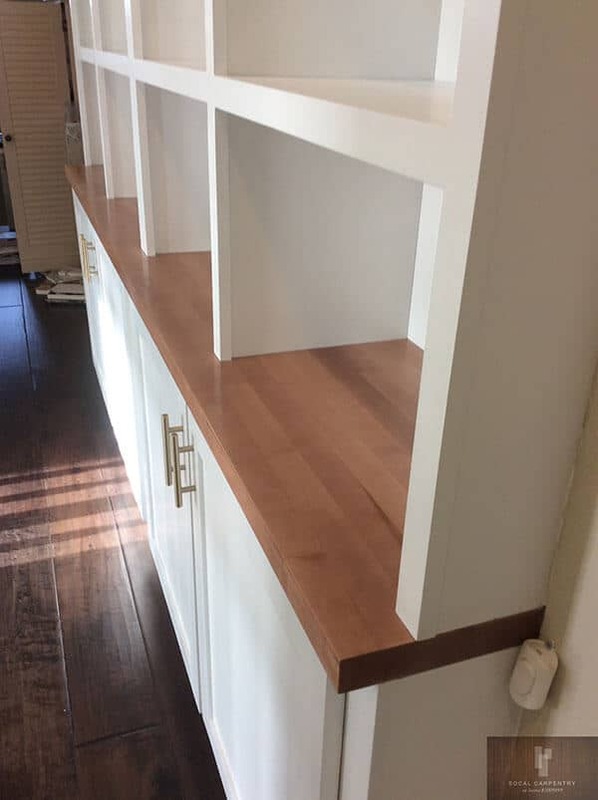 SoCal Carpentry is a locally owned fine carpentry business that has been helping home and business owners furnish their spaces with high end furnishings. 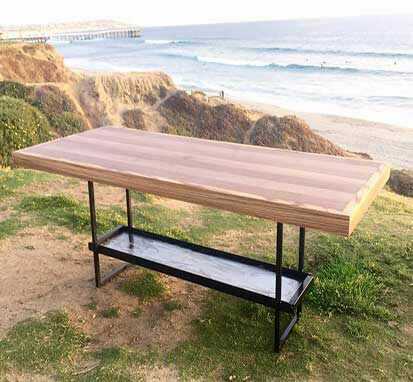 SoCal Carpentry is located in San Diego and serves all of San Diego County, from the beaches of Pacific beach to the mountains of Alpine and everything in between SoCal Carpentry can bring your space to the next level. 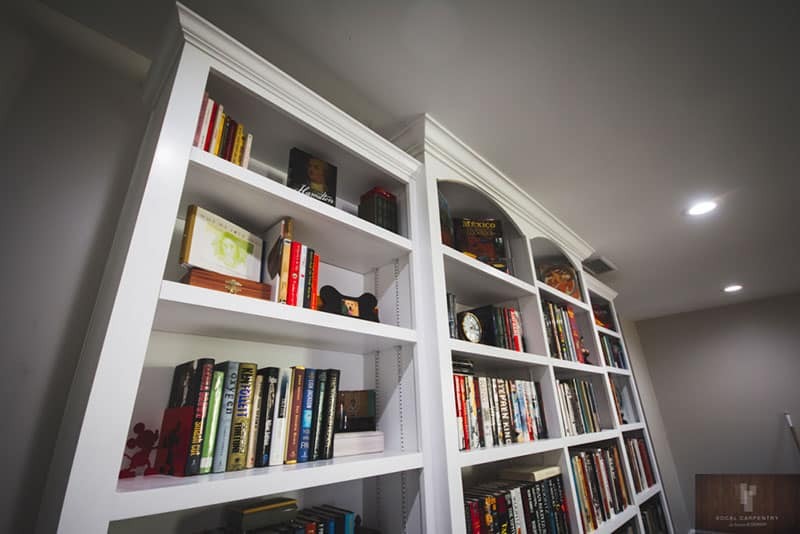 We specialize in Custom Cabinetry including Built-In Cabinetry, Closets, Shelving, Window Seats, Book Shelves, Entertainments centers and more. 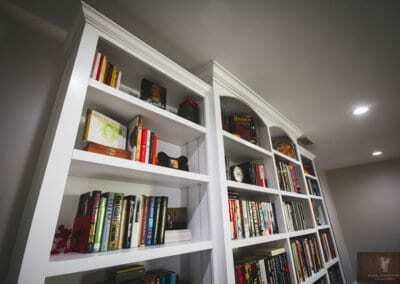 Custom furniture including Tables, Desks, Free standing bookshelves, window seats, book shelves and side tables. 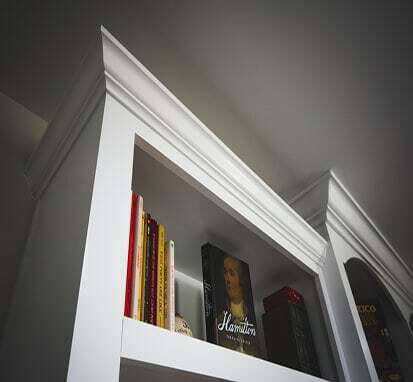 Our Custom Trim includes doors and windows, crown molding, baseboards, paneling and wainscoting. 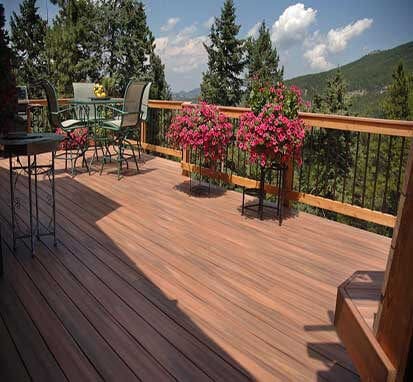 Lastly our custom furnishing includes cabinet refacing, furniture refinishing and deck staining. 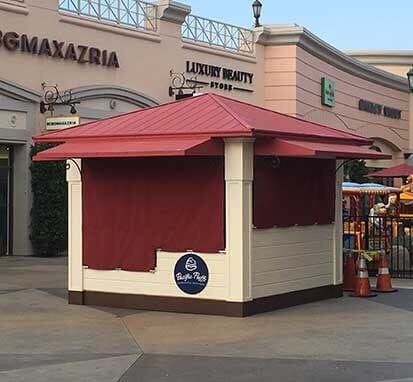 If you’re a business owner we can help you with displays and fixtures, kiosks and building out your restaurant or bar. 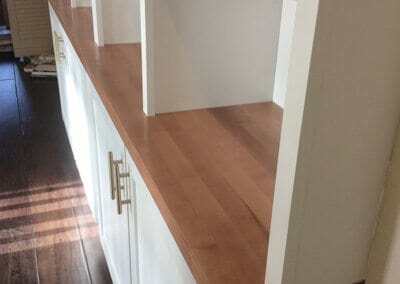 Soon we plan to offer custom countertops, decks, tree houses and tiny homes. 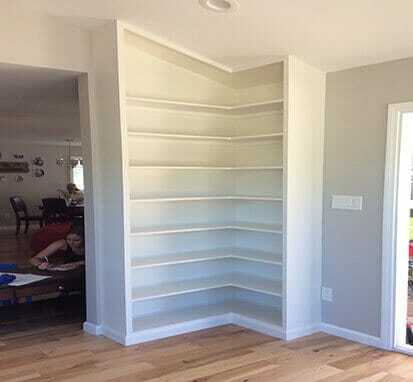 SoCal Carpentry provides a top of the line experience for all of San Diego county, we hope to help you upgrade your space! 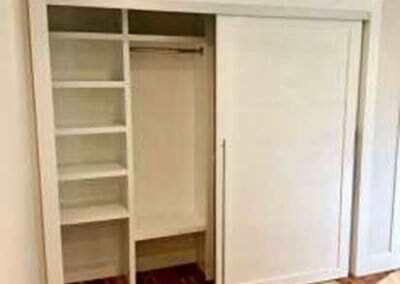 SoCal Carpentry recently completed this beautiful closet transformation in a San Diego County home. 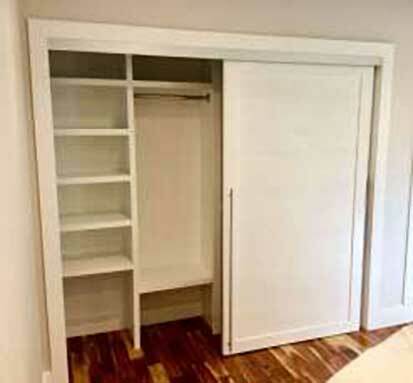 We took what was previously a large open space with very little use and transformed it into a functional, great looking, and spacious closet. 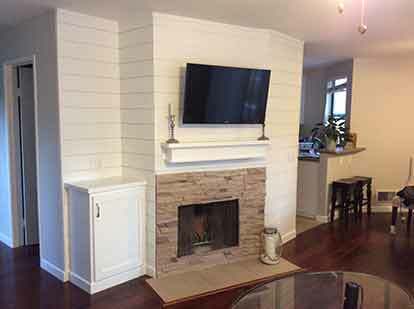 As with any Carpentry project taken on by SoCal Carpentry, we started by meeting with the homeowners and discussing their needs, providing various options for them to choose from, and a free estimate for the cost of transforming their space. 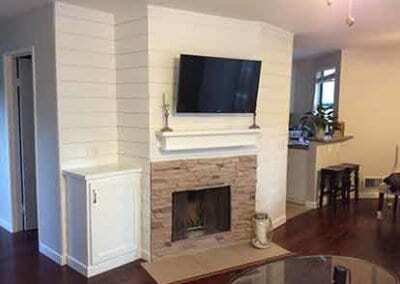 The end result is this very well transformed and thought out space. 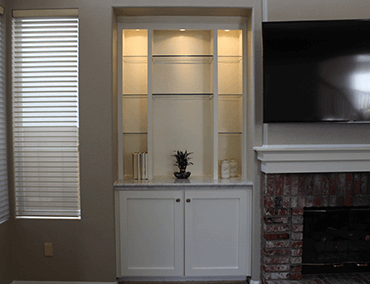 If you are in need of Carpentry in San Diego, whether it is for a custom closet, kitchen cabinets or any other fine furnishings be sure to contact SoCal Carpentry Today.